Confidence At Three Year High...And 4 More. Confidence At Three Year High…And 4 More. 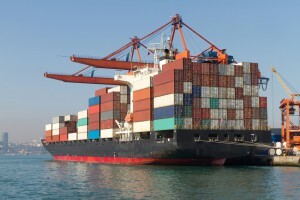 Shipping confidence reached its equal highest rating in the past three years during March to May this year, according to the latest Shipping Confidence Survey from shipping adviser Moore Stephens. The average confidence level expressed by respondents to the survey was up to 6.1 out of 10.0 from the 5.6 recorded in the previous survey in February 2017. Increased confidence was recorded by all main categories of respondent to the survey with an overall confidence rating of 6.8. Concern persisted, however, over political uncertainty, overtonnaging in certain trades, depressed oil prices and a potential dearth of quality seafarers. Shipowners have less than three months to install ECDIS updates to ensure vessels are not detained by port state control. They must make sure all ECDIS equipment and electronic navigational charts (ENCs) are updated and crew trained to meet the requirements. New requirements come into force on 1 September following the International Hydrographic Organization’s new standards for ECDIS and ENCs. This complies with IMO circular MSC.1/Circ.1503. Software updates will be required on all existing ECDIS and, in some cases, upgrades to hardware. The global shipping industry is urging the International Maritime Organization (IMO) to back a proposal to push back the implementation dates for installing new ballast water treatment systems on ships by two years to 2024, the International Chamber of Shipping (ICS), whose member shipping companies operate over 80% of the world’s merchant tonnage, said on Monday. “If this pragmatic proposal is agreed, this would allow shipping companies to identify and invest in far more robust technology to the benefit of the marine environment,” said ICS Secretary General, Peter Hinchliffe. The IMO Maritime Safety Committee will start to establish a new international legal framework for the safe operation of autonomous ships. Together with a number of countries, Denmark, has taken the initiative to include autonomous shipping on the IMO agenda. United Nations’ International Maritime Organization (IMO) is in line with the proposal and will now start mapping how existing international regulation can be applied to autonomous ships and maritime technologies; technologies that are developing rapidly these years. Seafarers who have been held in Soyo, Angola, for the past three months due to accusations of the alleged theft of fuel were cleared of all charges on June 15 and are now free to go home. When contacted, trade union Nautilus said it is still awaiting the confirmation that the six seafarers have been released. “A judge has ruled that there is insufficient evidence to lay any charges. The crew should now be free to return pending the payment of some court fees which should be paid by the company,” a representative of Nautilus said. UK Environment Plan…And 4 More. Lost Plane Search Restarts…And 4 More. Ships Kept Waiting…And 4 More. Liz Meets Big Liz…And 4 More. Supranational Answer on Abandonment…And 4 More.